We have some exciting new releases this week for Test and Interview. 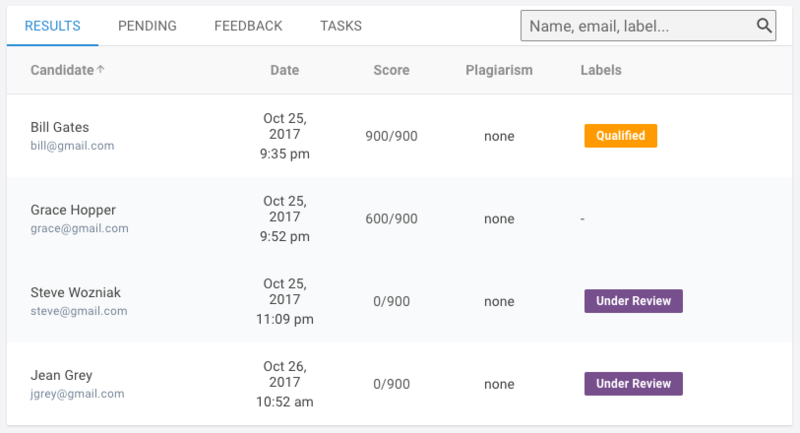 In Test, you can use the new labels to categorize test results based on review status, or on any other grouping you want to use. 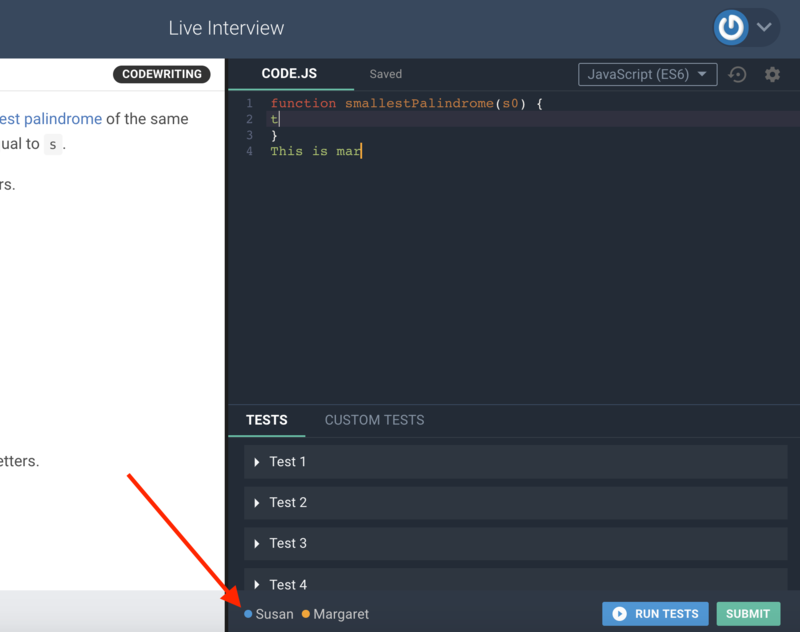 In Interview, the new participant presence indicator makes it easy to see who's doing what in the code editor. ✨ We allow users to overwrite the candidate status on CodeFightsR, even if you have an active ATS integration handling it automatically. Note that changes made on the ATS will continue to be updated. ✨ It's now easier to indicate why you're passing on a candidate. The Pass button brings up a dropdown list of reasons to choose from. Categorize the reasons for your own record keeping and to help CodeFightsR improve your candidate recommendations. Candidates have more space to provide feedback after a test. ✨ Check out the new participant presence indicator at the bottom of your interview screen. Now you can easily tell who is present in the interview session. ✨ Test and Interview results links are now posted back to Lever. Updated Manage Accounts page for easier management of your company's user accounts. There are over 130 tasks now available for Test and Interview in the CodeFightsR task library. Be sure to favorite your most-used ones for easy access! Users can enter upper case characters for email addresses. Fixed a bug that displayed the incorrect author for public test reports.